We have come a long way from our inauguration in 1927. Back then, cats were viewed with indifference as animals that could just look after themselves. Thousands of cats were subject to terrible cruelty, neglect, starvation and disease. 1927 - During the 1920s, cats were not seen as the companion animals they are today. Rather than pets, most were thought of as nothing more than pests. The business of breeding cats was severely curtailed when, in 1923, an outbreak of rabies restricted the importation of cats. The attention of pedigree breeders and members of cat clubs was diverted to the humble moggy. Concern was expressed at the ignorance of many people regarding the needs of the domestic cat. 1928 - The League set out to be an educational body, but it soon became apparent that this would have to be complemented by practical action in order to succeed. 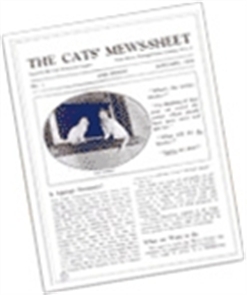 1931 - An early and significant step was taken in 1931, when the embryonic magazine The Cats' Mews Sheet was founded, with Miss Jessey Wade as the Editor. Its stated aim was to create a medium for suggestions and enquiries; to obtain the co-operation of the other animal societies and to educate the public. The importance of the magazine, which went on sale priced 1d, was that it not only helped The Cats Protection League to become better known, but it also gave a sense of unity to members. 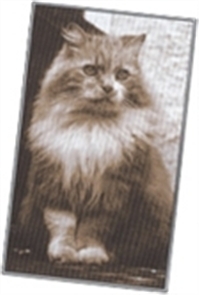 1935 - In 1935 The Cats Protection League received through a legacy gift, Prestbury Lodge, a sizeable house in Slough. This became the first designated Headquarters. The General Secretary Mr Albert Steward took up residence on the first floor, with the rest of the house and garden being used for cat work. 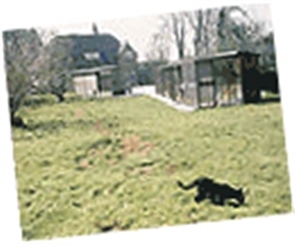 Sheds and later cat houses were added to the garden of Prestbury Lodge to provide space for cat care; and rooms in the main house were adapted for the care of sick and injured animals. Towards the end of the decade (1940), upwards of 200 people called at the headquarters for help each month as well as postal and telephone requests for aid. 1940 - The increased difficulty in funding clinical and rescue work during the war years, led to the introduction of The Tailwavers Scheme. This fundraising appeal was introduced by The Cats Protection League in June, 1940 'to help relieve suffering amongst bombed out and starving cats in the blitzed areas'. Tailwaver is the English translation of the Greek word for cat 'aeluros' literally 'tailwaver'. Members enrolled their cats as Tailwavers at 5/-pa (25p). The scheme proved popular - 187 cats joined in the first year - and enabled The CPL to continue its work. 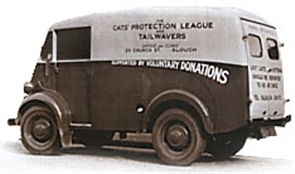 1947 - July 1947 saw the purchase of The Cats Protection League's first ambulance, a second-hand van which would replace the car originally donated as a charity vehicle. The new vehicle was painted in the then corporate colours of black and white. 1950 - The Cats Protection League's main aim during this time was to establish Shelters to provide 'a temporary refuge' for cats in need but the financial outlay for this was great. Then, in 1950 it received a legacy specifically for that purpose. A country property in Haslemere, Surrey was chosen. 1950s - During the post-war decades, The Cats Protection League was actively seeking changes in legislation, so that the plight of cats and other animals might be improved. In 1951 the Pet Animals Act made pet shops subject to licensing by the Local Authority, with power to inspect, and in 1954 the Pests Act forbade the use of certain types of spring trap, intended for rabbits but which often cruelly killed cats. 1955 - To celebrate the 21st Anniversary of The Cat magazine, the Editor gave space for the 16 branches to write an account of their history and activities. Liverpool, Manchester and Edinburgh had been established pre-war; all had cat accommodation and gave help with veterinary services. The London committee, was very active, as were enthusiastic new branches in Truro, Walsall and Wolverhampton. 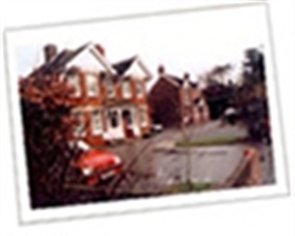 Small branches in Stoney Stratford and Bexhill contributed alongside the revived post-war Dover Branch. South Wales and Bradford also made a contribution, and there was an account from an affiliated society in Victoria, British Columbia. 1977 - In 1977 the charity launched a serious drive for increased membership, advertising in national newspapers and periodicals. Over 1,000 members were recruited in a few months, bringing the total to over 10,000. From 1980 membership cards were issued. For about 30 years the number of branches and groups had been static at about 25, but alongside the membership increase, this soared. In 1977-78 the number doubled and by 1982 there were 105, including a revival of the Edinburgh Branch, then the only one in Scotland. 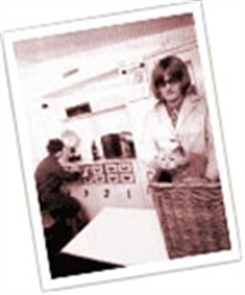 1978 - The charity continued to operate its headquarters from Prestbury Lodge until the building was sold in 1978. 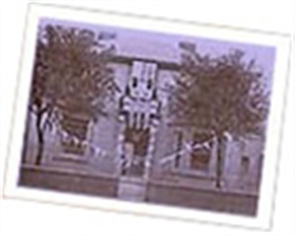 CP's headquarters then moved to Horsham, first to 29 North Street and then in May 1985 to 17 Kings Road. Five years later, the charity expanded into 19 Kings Road next door. The move meant that the cat clinic closed, but now the charity was able to concentrate its efforts on the real need - accommodation for cat rehabilitation. 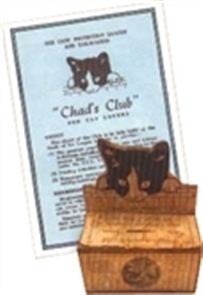 1987 - In 1987 Cats Protection League celebrated its 60th Anniversary. A campaign in the national press recruited 6,000 new members but the main birthday project was the publication of A Passion for Cats, a compendium of original writing on many aspects of the care and history of the animal and of the charity's work. This was edited by the then Chairman, Philip Wood. Beautifully illustrated, it was marketed by national bookshop chains and sold over 35,000 copies. 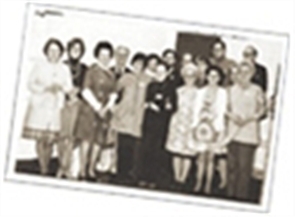 Another birthday event was a Diamond Jubilee Conference and a special Bazaar with gifts from many celebrities and political notables, including Mrs Thatcher. 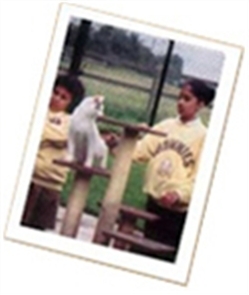 1990 - One of the charity's main objectives has always been to inform the public about the care of cats and kittens and in 1990 a new audience was targeted - school pupils. Cats Protection produced its first teaching pack for use in schools by children aged 5-11 years. This was distributed free to teachers and was a huge success: demand greatly exceeded expectation. Today, we produce three teaching packs: one for Primary (Key Stages 1 and 2) pupils, a Secondary pack for Key Stage 3 and GCSE students and finally a Primary Science CD-ROM (Key Stage 1). 1994 - The charity, moving with the times, introduced microchipping into all its shelters (now known as adoption centres) in 1994. Every cat that the shelters rehomed was microchipped, neutered and vaccinated, in line with rigid standards of cat care and hygiene set out by the Head of Veterinary Services and the Head of Operations. 1998 - The charity changes its name from The Cats Protection League to the shorter and more modern sounding Cats Protection. A new logo and brand identity is launched to reflect the name change. 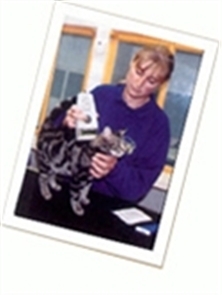 1999 - Cats Protection realised the importance of promoting its work, responsible pet ownership and the qualities of cats to a wider audience. To achieve this end, the Cats Protection Showmobile (a lorry that becomes a stand) was purchased. Designed to attend outdoor shows and fairs, the Showmobile still actively spreads the charity's messages today. 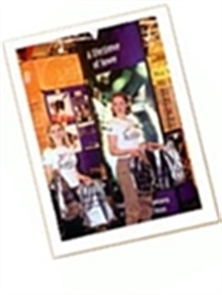 The success of the Showmobile in attracting both young and old people to its bright displays and useful information prompted us to get a show stand, which was used at indoor events and shows. The shows that we now attend include the National and Supreme Cat Shows, Crufts, the Ideal Home Show and the Chelsea Flower Show. 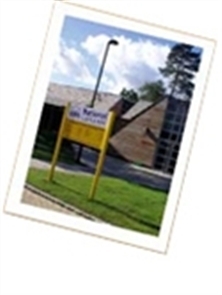 2004 - The National Cat Centre (NCC), located near the Ashdown Forest, Sussex between East Grinstead and Haywards Health, is now home to a 202-pen adoption centre (which replaced Barnjet Adoption Centre) a veterinary facility and the charity's administrative operations (replacing the old site in Kings Road, Horsham). The NCC combines all the strands of the charity's work - cat adoption, education, veterinary care and administration. CP helps 52,500 cats every year, but with a growing feline population of around 9.2 million more needed to be done. For every two cats in Cats Protection's care, there is another one waiting to come in and the 202 pens at the NCC will, in time, allow the charity to rehome up to 3,000 more cats every year. 2007 - Cats Protection is the oldest and largest feline welfare charity in the UK, helping over 140,000 cats and kittens every year. Much of this great work is done by Cats Protection's 5,500 active volunteers, who help run our 252 branches nationwide. We also have 29 adoption centres, run by a mixture of staff and volunteers, dotted across the UK. 2010 - CP’s first ever dedicated homing centre in Ferndown, Dorset, opens. 2012 - Cats Protection rehomes its 1,000,000th cat!